Steve Ballmer has made a few gambles in his time as CEO at Microsoft. Sadly, not all of them have turned up trumps: Zune, aQuantive and Vista are all significant failures in the company’s history. There is a unifying thread running through some of those failures, and that is Microsoft’s desperation to get in on the act after being left behind by competitors in new markets. Bing is another instance where the vendor has spent – and lost – quite a lot of money playing catch-up. Now, as Gartner suggested a couple of months ago, Microsoft is “taking a big gamble” with the life force of the organisation itself – Windows. Acknowledging that Microsoft had to take the risk with Windows “to stay relevant in a world where mobile devices with new modern experiences are becoming the norm”, the market research company caused a stir by making an uncomfortable comparison when examining how corporates might adopt Windows 8. “Windows Vista, for example, never gained significant success in corporate environments…. The bottom line is that IT leaders are questioning whether Windows 8 will suffer a similar fate,” Gartner stated. With many businesses currently embarking on a migration to Windows 7 or preparing to begin the process of doing so – prompted, in part, by the news that Windows XP support will be discontinued from 8 April 2014 – it seems a potentially inopportune time to be releasing a new desktop operating system. When Windows 7 arrived it was greeted with relief by business and home users because Vista had been such a unmitigated disaster. The circumstances are different this time around. Windows 7 has been well-received by business and home users so there is far less urgency in making the potentially disruptive shift to another version of the operating system with a completely different user interface (UI). But then the release of Windows 8 is not really to do with PCs and laptops – not at this moment in time and especially not at the corporate level. By far the most significant event in the PC firmament over the past two years or so has been the release of the iPad and the emergence of the tablet form factor via a range of Android-based devices. Coinciding with and, to a large extent, leading the bring-your-own-device (BYOD) and mobile working trend, the iPad and other tablets have had a massive impact on the traditional PC and laptop markets. 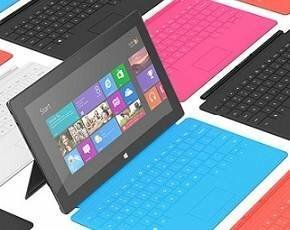 Microsoft and the Wintel world has been well behind the curve when it comes to tablets. Back in July 2010, Ballmer told financial analysts he would “talk about slates and tablets and blah, blah, blah, blah” and then went on to admit Apple had “sold more [iPads] than I’d like it to sell”. That never happened, of course, but there is a chance it could happen with Windows 8. To try to make sure it does, Microsoft has even gone to the trouble of making its own Windows 8 slate/tablet with the Surface, designing, developing and manufacturing the hardware as well as the software, in a distinctly Apple-ish move. The unveiling of the Surface hints at a frustration within Microsoft that hardware manufacturers were failing to develop products that could emulate the design of Apple’s very successful tablet. Certainly, Ballmer did nothing to dispel the notion when he effectively signalled to shareholders that Microsoft intended to emulate Apple’s strategy by building “specific devices for specific purposes” and highlighted the Surface as one of those devices. So, for the short term at least, the focus for Windows 8 appears to be to help Microsoft enter the tablet arena and improve its share of the smartphone market. What will it do, if anything, for PCs and laptops? Obviously, with all machines shipping with the operating system (OS) pre-installed, Windows 8 will be the de facto platform for PCs and laptops, but that does not mean the transition will be seamless. Hardly surprising when Microsoft is pushing an OS where one of its standout features (and the first thing you see) – the user interface (UI) – has been developed for touch-enabled products such as tablets and smartphones. Raphael Moroney, owner of Oxford-based Computer Assistance, thinks it will be a major headache, making the dreaded comparison with Vista to explain his point. “For home users, it harks back to the days when we sold a Vista machine, then had the customer return the next day telling us we had sold them a defective product and threatening to contact Trading Standards for selling product that was not suitable for use,” he says. As for businesses, Robert Rutherford, managing director at Quostar Solutions, says any move to Windows 8 from Windows 7 “will not gain anything”. He points to the “completely different” user experience as the biggest issue. “Many will remember the pain of moving to Microsoft Office 2007 – the change was vast and caused a raft of training and productivity issues,” he recalls. The new UI may well be similar to the iPad, says Rutherford, but “it still needs to flick back to the old desktop system as most applications aren’t designed for it. That’s a good thing, but you can expect the old desktop to slowly evaporate in later releases when people get used to it. In general, people don’t like change”. Yes, but is it really a good idea to create a dilemma for your customers? Rutherford says most people with Windows 7 should stick with it, but those looking to use tablets might want to try Windows 8 while leaving their PC estate on Windows 7. “I’d still keep buying PCs and laptops with Windows 7 for at least the next 18 months to two years. Don’t forget that new operating systems take time to iron out the bugs, at least until the first service pack is released, and then a good few months after that,” he says. James Reed, general manager for Computer 2000’s PC systems and software business units, believes the arrival of Windows 8 will spark an increase in demand in the consumer market through sales of tablets and convertibles, although he cautions “how pronounced it will be remains to be seen”. There is also likely to be a moderate increase in demand in the business market in the last quarter of 2012. “We’d expect to see uptake of the Windows 8 Professional edition gather a bit more momentum next year, as more businesses adopt tablets and look to run ‘standard’ and fully compatible applications on them,” he adds. One by-product of Windows 8 could be “an acceleration of upgrades to Windows 7 in the commercial and public sectors” as businesses move away from XP and opt not to make the jump to Windows 8 yet, says Reed. “It’s perhaps worth noting that some vendors are planning to ship ‘downgrade’ options with their new Windows 8 models, presumably to cater for a percentage of buyers who they think will prefer to use Windows 7 for a time,” he says. Many believe that percentage is likely to remain high for some time to come. Grant Tiller, senior product manager at RES Software, quotes a survey the company undertook, which found that only 30% of respondents had completed their Windows 7 implementations and a further 44% had not done so because “they were postponing their Windows 7 implementation to better assess the benefits of Windows 8”. From Tiller’s perspective, those figures represent an opportunity, but might they also suggest a missed opportunity? How long have those businesses delayed their Windows 7 implementations to wait and see what Windows 8 has to offer? And now it’s here, how many of them are going to decide to go ahead with Windows 7 anyway? 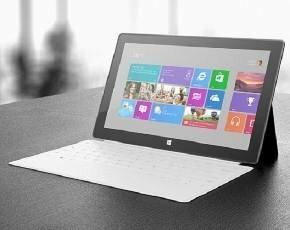 There are analysts who argue Windows 8 will herald a new dawn in x-86 tablets aimed at business users. Duncan McAuley, purchasing director at VIP Computers says the reasoning is that x86 tablets can be “full PC environments in a different form factor. Once you dock that tablet into some sort of docking station, you can, in theory, convert that tablet experience into a traditional PC experience”. Ultrabooks are another area where Windows 8 could represent an opportunity for the channel. As McAuley admits, these are essentially the PC market’s response to Apple’s MacBook Air, but he believes there are “massive synergies between Windows 8 and ultrabooks, as users seek to create and manage content on touch-powered ultrabooks and other form factors”. But the thrust of this argument – that Windows 8 will help to drive business tablets and ultrabooks tends to go against the grain of experience with both form factors. The iPad, Samsung’s Galaxy and the MacBook Air are not specifically business machines, but they have successfully infiltrated the corporate environment. Why? Well, this is another area where the concept of “business” tablets and ultrabooks could prove counter-intuitive by bucking the whole BYOD trend. BYOD does not stand for bring your business device. There is a subtle distinction. Most people want to have their own device and use it for work, not to be given a work device that they can also use for their own purposes. This suggests it will be tablet and ultrabook adoption at a consumer level that could be the most important driver for Windows 8 in the short term, rather than any imposition of business products on employees. Certainly, the suspicion is that Microsoft believes so too, and the story of the adoption of Samsung’s Galaxy and Apple’s iPad would suggest this is the right approach to take. And it is telling that there is nothing about the Surface so far to suggest it is targeted at business users. No matter how Windows 8 is adopted in the consumer and corporate space, McAuley believes it will prove a boon to companies under pressure to deliver mobile solutions that currently “face application nightmares with iPads and Android-based tablets, because they need two sets of applications and two sets of management technologies. This is a real entry point for Windows 8”. Computer 2000’s Reed perhaps best sums up Microsoft’s short-term strategy for Windows 8 when he describes it as fulfilling the need for “a different kind of environment” for touch-enabled tablets and the growing number of mobile devices exploding onto the market. He adds that the difference from Apple and Android devices is that users of those devices will want them to be compatible with the applications they run on their desktop or laptop; Microsoft is simply providing for that need. “It’s also taking a major leap forward that will allow organisations and individual users to use the same applications and services across a range of different devices in a consistent way, and migrate to new platforms at their own pace,” says Reed. But it does not answer the question of why Microsoft did not just limit the launch of Windows 8 to products that could exploit its UI, such as ultrabooks, tablets and smartphones? Why bother with a PC version at all at this stage? That’s a question to which people could be searching for an answer for some time to come.